A few weeks ago, we introduced the new Sort Order screen. Today we’re taking the next step: allowing multi-field sorting. 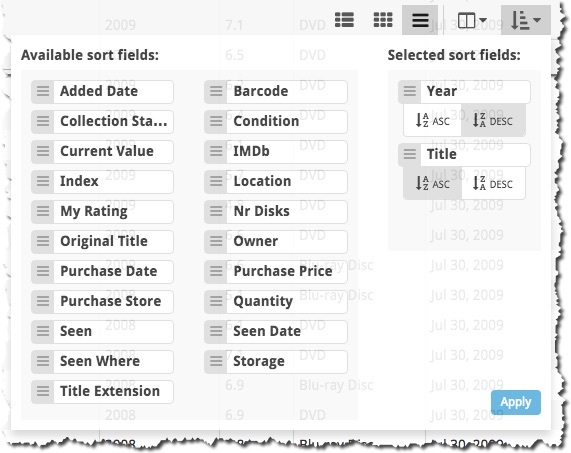 For example, you can now sort your list first by Year, then within the years, by Title.